Former International YCW chaplain Fr RV Mathias died at 2.30a.m. in Trichy, India, following a massive heart attack. “We are shocked and saddened to hear of Fr Mathias’ passing,” CCI President Stefan Gigacz said in a statement. Fr Mathias was born in Edangani, Tamil Nadu on November 11, 1938. 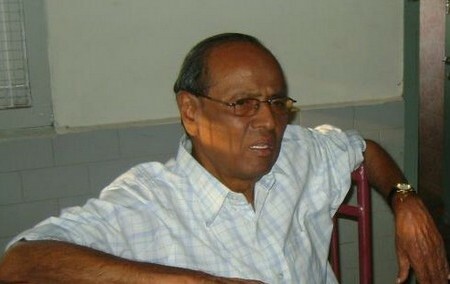 He entered the seminary in 1953 andstudied at St Paul’s Seminary, India, from 1958-60. From 1960-64 he was a guest at the Pontifical Urban College in Rome followed by catechetical and liturgical studies at the Catholic Institute of Paris from 1964-66. He was ordained as a priest in Rome on 21 December 1963. Among the many positions he held, Fr Mathias was parish priest, diocesan, national and international chaplain of the YCW as well as chaplain of the diocesan youth and workers for the diocese of Trichy. He was also Director of the Diocesan Pastoral Center, Executive Secretary of the CBCI Commission for Labor (Delhi), Vicar general of the diocese of Trichy. In 2002 he was appointed as Executive Secretary of the CBCI Commission for the laity. He taught at Karumathur Jesuit Theological College near Madurai, India until recently. After taking sabbatical leave, he was named >spiritual father at St Paul’s Seminary, Tiruchirapalli in April 2011. Fr Mathias also collaborated actively with the Centre Lebret-IRFED network. The funeral will take place at 10 a.m. Friday at St. Paul’s Seminary, Trichy.